Rental Rate $1450. Month Security Deposit $1450. 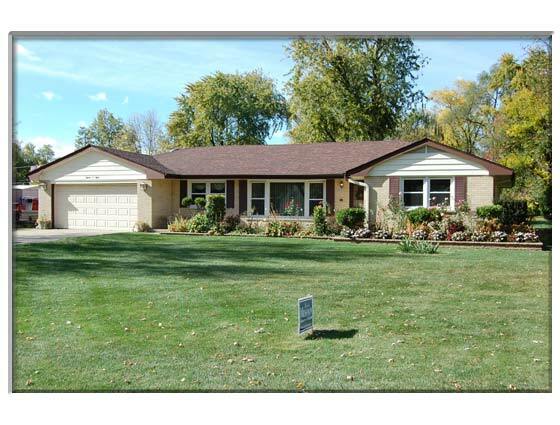 SPACIOUS BRICK RANCH ON 1/2 ACRE LOT. NEWER ROOF AND WINDOWS, HARDWOOD, LARGE LIVING ROOM AND FAMILY ROOM WITH HUGE WINDOWS, KITCHEN WITH AND EATING AREA WITH CERAMIC, WOLF STOVE, SS FRIDGE AND ALL APPLIANCES STAY. THREE BEDROOMS PLUS OFFICE THAT COULD BE 4TH BEDROOM, 2 FULL BATHS, 2 CAR ATTACHED GARAGE, PRIVATE DECK OVERLOOKING BEAUTIFUL YARD.